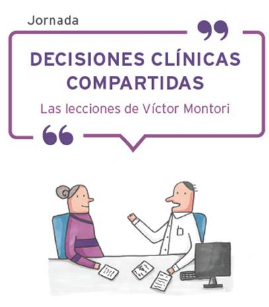 The Catalan Health Department deserves many congratulations on the launch of the website Shared decisions to help patients make decisions about their care. Nowadays the internet makes it possible to find vast quantities of information about health and healthcare, but this can be confusing and some of it is misleading and unreliable. So it is especially important to ensure that people are given access to trustworthy information to help them make decisions about their health. We all want healthcare to be responsive to our needs and wishes. We want to be listened to, to be given clear explanations and to have our values and preferences taken seriously. Many of us want to be able to influence any decisions that affect us, including treatment decisions. What are the benefits and possible harms? How likely are these benefits and harms? How can you help me make a decision that’s right for me? Shared decision making is central to a patient-centred approach. It involves clinicians and patients working together to select tests, treatments, management or support packages, based on clinical evidence and the patient’s informed preferences. It requires the provision of evidence-based information about options, outcomes and uncertainties, together with decision support counselling and a systematic approach to recording and implementing patients’ preferences. 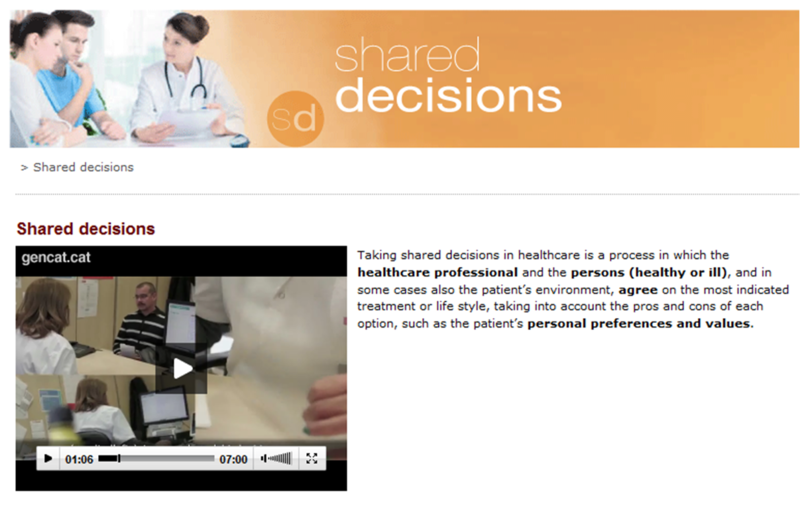 Shared decision making is recommended in many common situations – for people facing major treatment decisions where there is more than one feasible option, for decisions about screening tests and preventive strategies, for maternity care choices, for choosing care and support packages for long-term conditions, for advance care planning for mental health problems and for end-of-life care. Provision of reliable, balanced evidence-based information has been shown to improve people’s knowledge and ability to participate in decisions about their care, improving the quality and appropriateness of clinical decision making. And as part of a collaborative approach to care planning for long-term conditions it can lead to improved health outcomes. Information provision is only the first step. As well as providing facts and figures to help people consider their options, doctors, nurses, and other clinicians must engage patients in a process of deliberation to determine their preferred course of action. This demands good conversations where both parties communicate well and share information. Effective risk communication, preference elicitation and decision support are essential skills for clinicians. And then of course there must be a commitment from both clinician and patient to act on the mutually agreed decisions. Implementing shared decision making is challenging. It is very different from the traditional approach in which clinicians view themselves as experts and sole decision makers and patients’ knowledge, expertise and preferences are unacknowledged or undervalued. Patients used to be expected to play a passive role and follow doctors’ orders, but this old-fashioned view is beginning to give way to demands for a more collaborative approach. This is very good news! Patients have grown up and health systems must now adapt to meet their expectations, helping them to become knowledgeable, skilled and confident co-producers of health. For years, I have been under the impression of not having a clear idea of how information related to the complex world of medicine and health should be disseminated in the daily news media, both of the science that it is based on and of the difficulties and dilemmas in applying it in practice. I have repeatedly refused offers, with only rare exceptions, to write texts on these subjects in newspapers or books of a non-professional nature: I had serious doubts of how to transmit this knowledge to the public at large. Looking back critically on these reservations I have had, I think they have been related to the paternalism inherent in the medical training received by the professionals of my generation: the fear that the public will make an incorrect interpretation and come to abhorrent conclusions of the facts disseminated, an audience with little knowledge on the theoretical foundations and subtleties of these facts, which are only accessible with proper professional training. Indeed, experience has shown me that these reservations were indeed justified. However, at the same time, I have witnessed the growth of citizens’ autonomy, now widely acknowledged, and their right to take “informed decisions”. This position, which has come to define the 21st Century as “the patients’ century”, acknowledges their right to know relevant professional data so as to be able to take accurate decisions autonomously; it has an undeniable foundation but if we are to avoid that this leads to the proliferation of distorted facts it will require a rigorous preparation and an absence of spurious interests on the part of those divulging information. Ideally, these informants should contribute to “health literacy” in a way that is balanced, objective and unemotional. The tension between these two conceptions of health information goes in parallel with that which exists between two extreme views of the doctor-patient relationship: the classical paternalistic one (“the doctor knows better than anyone what is best for a patient and their decision must be accepted”) and that of the “informed consumer” with autonomous decisions. The other extreme of this corresponds to an “imminent revolution” in which it would be the very well-informed patient, (basically as a result of the spread of refined computer technology) that would take the most important decisions concerning themselves. Personally, like many others, I prefer a more balanced approach: that corresponding to the “interpretative” and “deliberative” models of the doctor-patient relationship, in which the experience and knowledge of the former interact with the latter respecting their autonomy. I think that this dilemma runs parallel to the medical information found in daily news media: on the one hand, there is the social demand to inform citizens of current advances so they know their options or opportunities as “informed consumers”; on the other, there is the temptation to fuel the emotions (triumphalism or fear) of the reader who is untrained by offering them information which is largely uncritical, lacks rigour or is insufficient, with the risk of a biased, distorted or exaggerated interpretation. The more or less unreal notions that some informants may have on medical and health problems (common, alas, among many professionals) can be transmitted like this directly to the citizen and to their emotions and desires. In the case of news related to medical advances and innovations, I would like citizens to know what expectations these novelties raise, maybe now within their reach, and the magnitude or relevance of the problem that can be lessened or resolved, and that this be done by using a rigorous and prudent terminology so that citizens can also create their own opinion on the solidity or temporariness of an innovation, and of the related uncertainties and limitations: not only of the benefits that they can provide them with but also of the undesired, uncomfortable or harmful side effects they might produce, and whether they are in anyway frequent or probable. In other words, I would not like the main aim of this information to be that of creating hope or fear in the reader, or give them the idea in a triumphal tone that in the wonderful world of science, the war against disease has claimed a new victory, especially at the hands of local researchers. I have recently taken part in an analysis of the news published in the daily press in Catalonia on medical innovations. Even though some well-documented news described in sufficient detail was found that could provide balanced information to the reader in this analysis, in many other cases the information was one-sided or not very thorough and was devoid of facts related to questionable aspects of the innovation and their risks. It resulted in a biased message which often tended to induce optimism in the reader rather than educate them in the knowledge of the pros and cons of the medical innovations. At a time when there is a call for a user’s well-informed autonomy, I would be delighted if healthcare culture and the attitude of the news media did not amount to a paternalistic doctor-patient relationship. In this regard, there is no doubt that much still needs to be done. Post written by Gaietà Permanyer Miralda. Emeritus physician. Unit of Epidemiology, Cardiology Service. Hospital Vall d’Hebron, Barcelona. 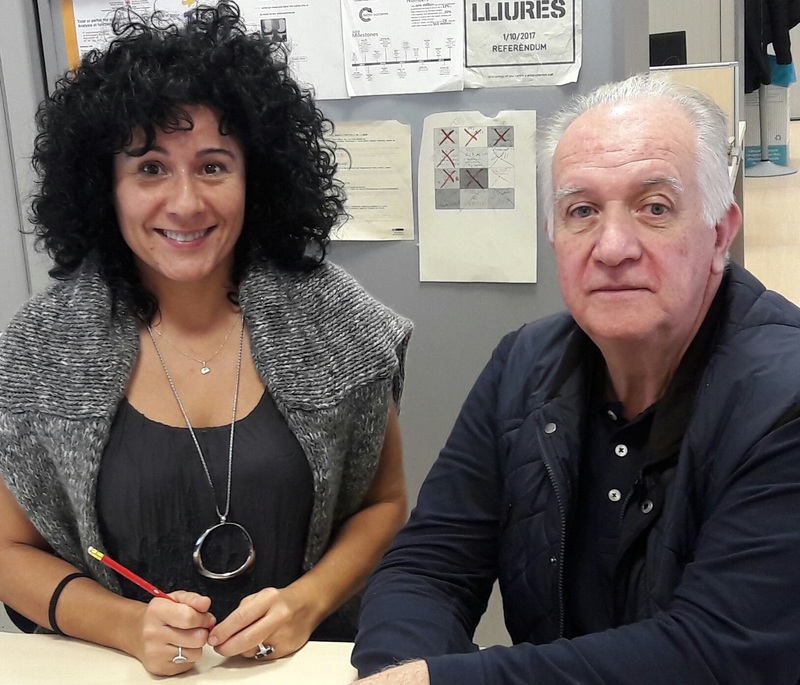 We continue the interview with Olga Martínez expert at the Catalan Arthroplasty Register (RACat) and Xaxier Mora, specialist in traumatology and orthopaedic surgery with a Master in biomaterials. The aim of today’s post is to know a little more about prostheses and the biomaterials used in arthroplasties. With this post and the previous one, we have wanted to present the opinions of these two professionals. Are all prostheses the same? Xavier: No, because each patient is different. Therefore, the orthopaedic surgeon will recommend one type of prosthesis or another, depending on the extent to which the bone is affected, the patients’ age, associated diseases and the daily activity of a the patient. Olga: At present, there are different types of prosthesis on the market in terms of design, materials used in their manufacture and the way they are anchored to the bone. There are prostheses that range from replacing only a part of the joint to more complex joint replacements in situations where bone damage is extensive. As a user of the health system, to which hospital should I go to receive the best prosthesis? 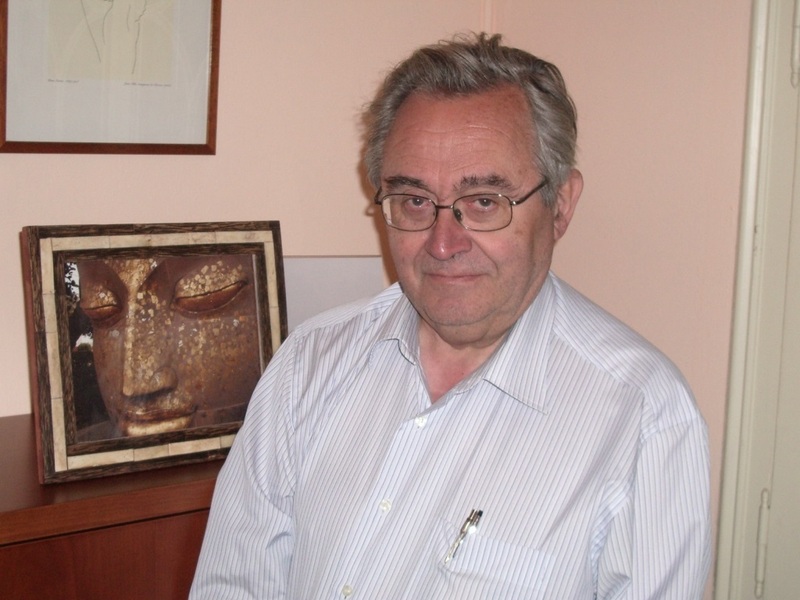 Xavier: One cannot talk about better or worse prostheses because all prostheses used for implants have to follow a standardised procedure according to specific international standards, such as those of the American FDA and the European CE seal of approval, for materials that will be implanted in humans. In the same way, hospitals in Catalonia are certified to be able to carry out this type of surgery. Olga: The prostheses which are commercialised in Catalonia meet the international standards of quality and public hospitals base their choices of prostheses on the scientific evidence available. This is allows them to select those with the best results according to arthroplasty registries, using recommendations from different institutions such as the NICE (National Institute of Healthcare and Clinical Excellence) and the ODEP (Orthopaedic Data Evaluation Panel). Olga: In addition, the new European legislation passed in 2016, regarding implants used in health, aims to increase the supervision of the industry by implementing stricter norms and regulations including the obligation of clinical assessment, while at the same time fostering innovation in this field. Who does the research into the best materials available and what factors are taken into account? 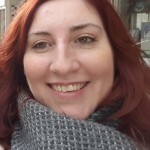 Olga: These days, the research of new materials and manufacturing techniques as well as the design and improvement of new prosthetic implants is a multidisciplinary process. The contributions of orthopaedic surgeons are especially important together with studies in joint biomechanics and surgical technique. 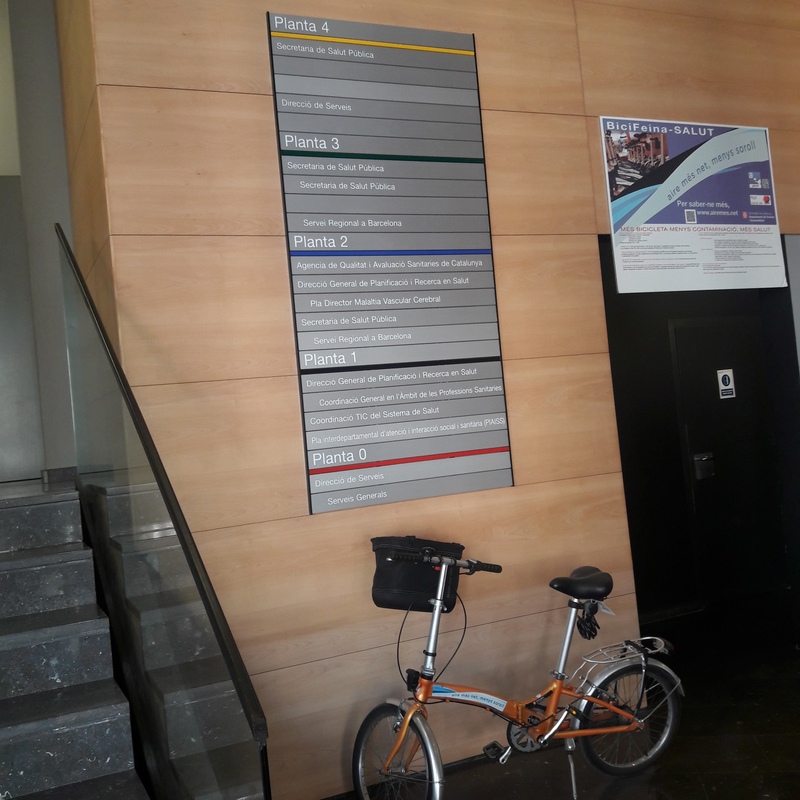 In Catalonia there are research centres in biomaterials such as Leitat and the Technical University of Catalonia (UPC). Olga: From the AQuAS we have written up and published short reports on biomaterials (polyethylene, cements and ceramics and metals) aimed at professionals that work in services of orthopaedic surgery and traumatology, with the aim of updating their knowledge. Xavier: Nowadays, when manufacturing new materials, the interaction between the surface of a biomaterial and the bone is taken into account more and more often, so that bone cells can consider an implant as part of its own structure and thereby avoid the prosthesis from moving about because this is one of the biggest problems in getting an implant to function well. How have materials evolved since the first prostheses to the present day? Olga: The discovery of new materials and/or the progress made both in terms of manufacturing techniques and the knowledge gained in the biomechanics of the human body have influenced the design of prostheses over time. Xavier: The first experiences in joint implants date back to the 20s of last century. One of the first attempts at replacing the surface of the head of the hip was done by manufacturing a metal socket or dome (Smith-Petersen). 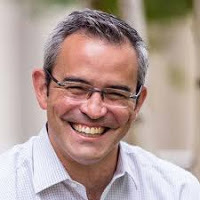 Xavier: In the last 20 years, many important advances have been made regarding the use of new biomaterials, much safer and of greater resistance to wear, thus extending the life of an implant in a biological environment such as the human body. Together with metallic biomaterials, these days ceramic biomaterials are used with good results in relation to their integration in bone tissue. Xavier: On the other hand, research in 3D technology has paved the way for a more precise surgery, and in the future it will be possible to manufacture more personalised implants. Xavier and Olga: We both agree that we are getting closer and closer to having a prosthesis that is for life. Today, we interview Olga Martínez expert at the Catalan Arthroplasty Register (RACat) and Xavier Mora, specialist in traumatology and orthopaedic surgery with a Master in biomaterials. They are two professionals involved in arthroplasties, a subject of great impact among a large sector of the population. 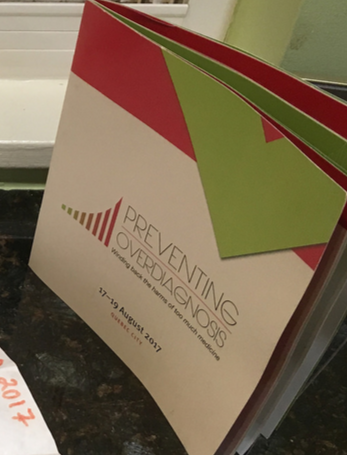 We focus on aspects of recommendation and prognosis related to the pathology and on the value of registries for quality care. In what cases is an arthroplasty intervention recommended? Xavier: The most important surgical indication to carry out a knee or hip arthroplasty is arthrosis. Advanced arthrosis has a considerable social impact with a loss of life quality for the person affected due to pain, a loss of personal autonomy and an increase in dependency. In addition, the loss or reduction in mobility can worsen existing diseases such as diabetes or heart diseases. It is in these situations when an arthroplasty is recommended which will reduce pain and improve joint mobility. Olga: In our field, according to the data from the Conjunt Mínim de Dades dels Hospitals d’Aguts (Minimum Set of Data from Acute Care Hospitals) and the Catalan Arthroplasty Register (RACat), the main reason for an intervention in knee and also hip arthroplasties is arthrosis. In the case of the hip, femoral neck fractures are the second cause for arthroplasty recommendation. It seems that there are more and more people who undergo arthroplastic surgery each day to implant a prosthesis. Is this a fact? 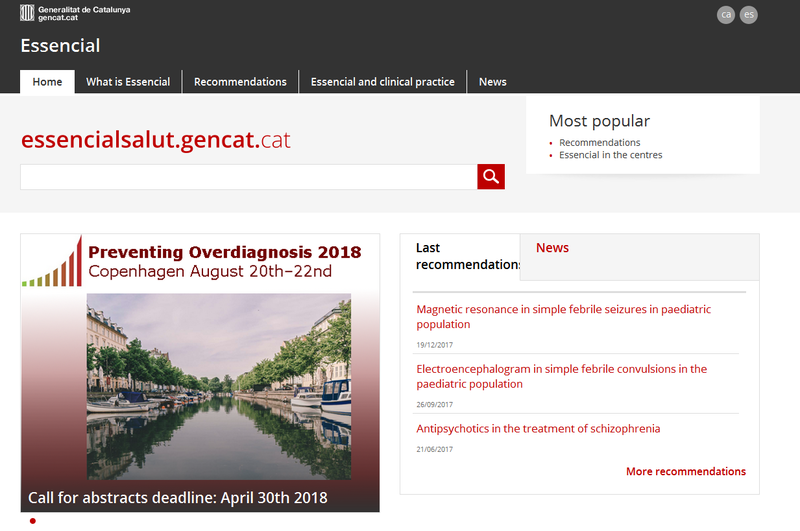 Xavier: Yes, around 9,6% of the Spanish population suffer from this disease to some degree, a percentage that increases up to 33,7% among people aged between 70 and 80. With the ageing of the population, it is evident that there will be an increase in the number of people who could be candidates for arthroplastic surgery in the future. In the context of Catalonia, if we do a simulation with 2026 as the time horizon, based on data from the Idescat, the population aged between 15 and 39 will decrease while the population of 40 to 64 will increase (227,000 people and 330,000 people respectively). Olga: At present, knee arthrosis has a prevalence of 10,2% and that of the hip is around 5%, more frequent among women, even though the data vary between one study and another. The AQuAS, the Agency for Quality and Health Assessment of Catalonia, has been managing the Catalan knee and hip arthroplasty registry (prosthesis) for many years. What purpose does a registry like this have? Xavier: The aim of all orthopaedic surgery is the survival and good functioning of a prosthesis and in consequence, the improvement in the quality of life of patients. Although a prosthetic implant undergoes strict manufacturing procedures before being used and follows a rigorous surgical technique during surgery, the functional results in a patient need to be assessed via follow up sessions from the time they receive an implant. To this effect, arthroplasty registries can help detect models of prosthesis with a malfunction, both in the short and long term, and identify the patients who have received these implants. Olga: This is what happened a few years ago with the ASR model, a hip prosthesis that some publications and registries, such as the National Joint Registry, pointed out due to an unusual increase in the rate of revisions. This motivated an international health alert and a protocol was adopted to monitor patients. Olga: One of the first prosthetic failures that prompted the creation of registries was that of the 3M Capital Hip, a hip prosthesis introduced in 1991 in the United Kingdom as an inexpensive prosthesis. After six years and more than 4,600 prosthesis implants, the risk of undergoing a revision was considered to be 4 times higher than that expected with the added difficulty of the traceability of the implants as no registry existed at a national level. Olga: The Registry for Arthroplasties of Catalonia created in 2005, an epidemiological tool of surveillance in the Catalan Health System, stemmed from the collaboration between the AQuAS, CatSalut and the Catalan Society of Orthopaedic Surgery and Traumatology. Are there other similar experiences of registries of this type in other countries? Olga: Sweden (1975) and Finland (1980) were the first countries to push for a national registry of arthroplasties of a demographic nature. Olga: At present, many countries have implemented this tool, be it in Europe, America, Oceania, etc… with different territorial coverage, but with a common aim: to be a valid instrument in assessing arthroplasty procedures and implants used. As a patient or as a family member of a person that suffers from joint arthrosis, what is the message that you would like to get across based on your experience? Xavier: The first consultation that a patient has is always because of the pain they are experiencing in the hip or knee joint when walking, going up or down stairs, getting up from a sitting position in a chair, having difficulty to put on shoes, etc. The aim of treatment should be to eliminate pain by using medication, doing physical exercise and physiotherapy that help improve 95% of patients. An arthroplasty intervention should only be considered as a last therapeutic resort. In this context, shared decisions between professionals and patients are very important too when talking about arthroplasties. We should all ask ourselves whether the best option to reduce this pain is to implant a prosthesis. Does a patient go back to normal routine life after an arthroplasty intervention? Xavier: After a surgical intervention and once the period of functional recovery has come to an end, a normal lifestyle can begin, due to the disappearance of pain and an improvement in joint mobility. In certain cases, constraints will be limited to intense activity that could overburden the joint. 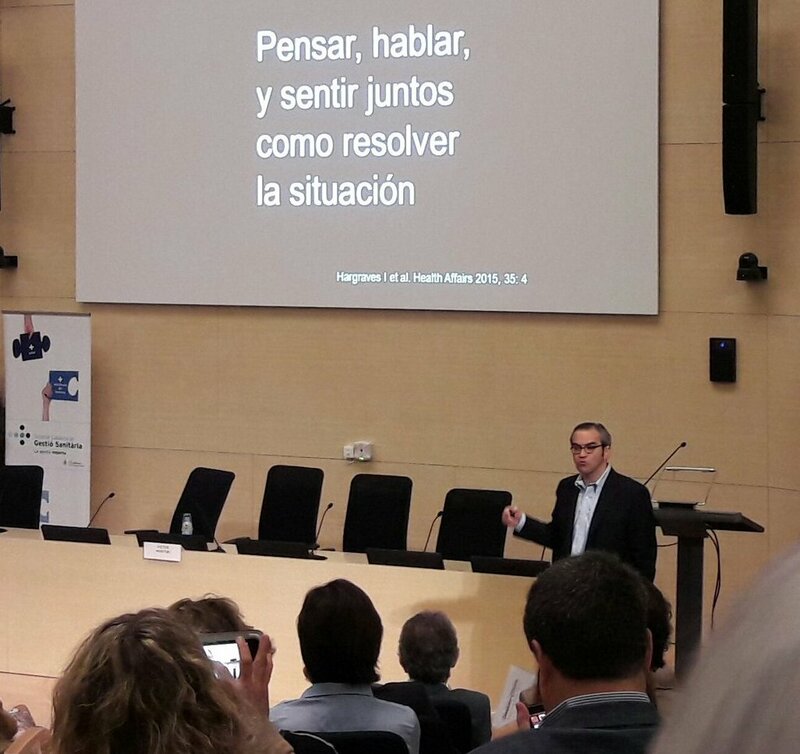 I was recently in Barcelona talking to a group of people interested in the taking of shared decisions (#decisionescompartidas) at a seminar organised by the Catalan Society for Health Management (SCGS) and the Agency for Health Quality and Assessment of Catalonia (AQuAS). My visit was the third stop on a trip which first took me to Poland and later The Netherlands. There is a very strong interest in the subject of shared decisions in all three countries and in all three there are efforts at different levels to promote this practice. What motivates this interest is also something shared: the feeling that the involvement of patients in important decisions must inevitably reduce costs and improve clinical outcomes. It is also a general phenomenon that doctors feel cornered by this new expectation adding to their already existing agendas that compete for the meagre 7 minutes per patient. 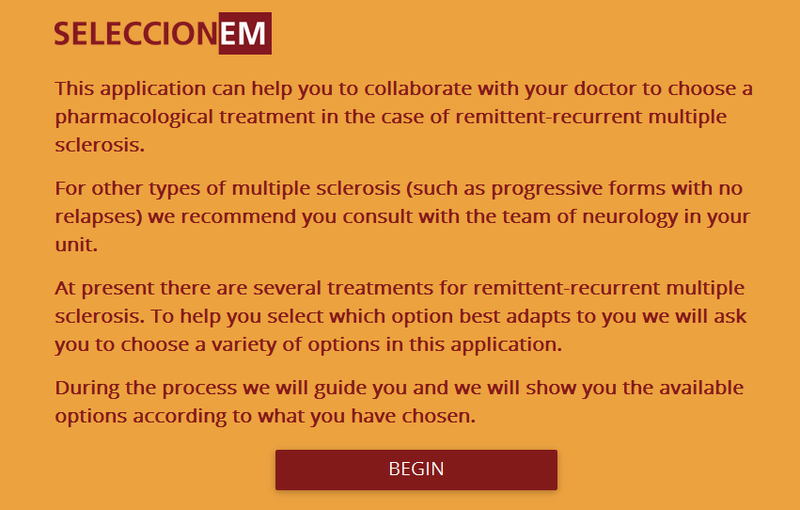 In light of this reality, the promises to take shared decisions that better reflect the situation of a patient and how to deal with it, based on the informed participation of the patient, end up putting the onus on the patient of taking decisions by means of tools in web pages or on printed forms. But what about sharing the process of taking decisions? Corporate poetry, an academic dream. Taking shared decisions requires patients and clinicians to work together so as to mutually agree on the best way to proceed in order to improve the patient’s situation. The outcome of this effort is a plan of care. To establish this plan it is important to understand what the situation of the patient is and what action is needed, as well as the options available to respond to the demands that the situation dictates in the best way. The conclusion reached must make sense, intellectually, emotionally and practically. That is, the plan must reflect the best medical science, it has to be agreeable within the biological and biographical circumstances of the patient and be able to be implemented with the least possible inconvenience in the life of the patient. This work is not for the patient to do, nor the clinician, but for both. It is challenging and is based on a clinician-patient relationship, and it takes time. Many clinicians tell me that they already take decisions together with their patients. This is not evident when we watch videos of clinical encounters in North America (15-30 minutes in length). In these, we see clinicians interrupting patients after less than 11 seconds from the time a patient begins talking, using humour to avoid emotional situations and offering recommendations before listening to the patient’s point of view. The fact that patients want to participate or that they do in fact participate actively in the taking of decisions is not evident either and yet, patients report high levels of satisfaction in the way that decisions are taken. 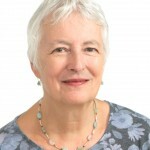 However, a critical look reveals that many decisions are taken without patients realising it, given that these decisions are disguised as the logical steps to follow in managing a problem rather than being opportunities for the patient to contribute in the process with their opinion, point of view, experience and knowledge. The effort of converting the taking of shared decisions from what it is (a unicorn) to what it should be (something routine in the care of patients) is enormous and full of uncertainty. There is no country, in my opinion, nor any health system which is at the forefront on this subject. At the tail end, there are of course countless systems that are still hugely in debt with their populations for not yet having been able to guarantee universal access to health with minimum levels of quality and safety. What those at the forefront need to do, in my opinion, has more to do with attitude and opportunity than with tools or incentive and training programmes. The latter must be there when attitude and opportunity appear. In my visit to Barcelona I saw great willingness, but with noticeable limitations in attitude and opportunity. In attitude, as health professionals we need to value what patients know about their context, about their biology and biography and about the way in which they want to lead their lives. We must acknowledge how essential it is that treatment plans make sense and that it is possible to implement them in the lives of patients, especially in the case of chronic patients. And we must be aware that practical guides and other management tools for management are useful to guide our treatment of “patients like these” but are not enough to determine the treatment for “this patient”. But attitude is not enough. In addition, we need to work at creating opportunities for conversation between clinicians and patients and that these become therapeutic relationships. I believe that our intellect has evolved in the taking of decisions with others. In the same way that I believe in deliberative democracy for social problems, I believe in taking shared decisions for clinical problems. Clinical problems are not simple (such as in the problem of baking biscuits, with a known recipe and ingredients and an expected result), they are not complicated problems (like flying a 747, with algorithms and feedback that lets one be confident of achieving the desired result) but they are complex problems (like raising a child, with known ingredients, without a recipe or algorithms and with sometimes unexpected results). Complex problems cannot be solved by technical investments only. These are solved within human relations. Specific results cannot be expected, but one can respond to adverse situations with resilience. Without the fuel of opportunity for this, the flame of a favourable attitude in the taking of shared decisions will be extinguished in the end. The taking of shared decisions needs human relations between clinician and patient to resolve the human problems of the patient with resilience. In turn, the solution of these problems requires decisions to be shared for the solution to make intellectual, emotional and practical sense in the life of the patient. Besides attitude and opportunity, it is important to have interpersonal skills (or train up to acquire whatever is possible) so as to communicate with a patient with empathy, to understand their situation and to assess each reasonable option in the context of a conversation. In this context, tools based on evidence designed specifically to support these conversations can be useful and can facilitate the efficient taking of shared decisions in any context, from emergencies to specialised care. I am aware that many have found the motivation to participate in taking shared decisions thanks to training or the use of tools for taking shared decisions. This makes it important to understand what is necessary and where so that taking shared decisions becomes routine practice in the care of patients. But what does all this effort achieve? Many colleagues say that the taking of shared decisions can improve clinical outcomes, the adherence to treatments, the use of services and the costs of care. Taking shared decisions might also help in preventing global warming. My critical appraisal of the evidence available does not allow me to discern any of these benefits with a sufficient level of certainty. This forces us to consider why we must thus make the effort to create the conditions to be able to take shared decisions and to implement this as routine practice. For me, as a clinician, the answer comes by means of understanding the aim of a treatment, of clinical care as well as by allowing each patient to fulfil their dreams with the least pathological interruption and the least therapeutic inconvenience possible. To achieve this, we need to design treatments that respond to a patient’s situation – seen in high definition – treatments that make sense for the patient, and a clinician cannot do this without the patient. 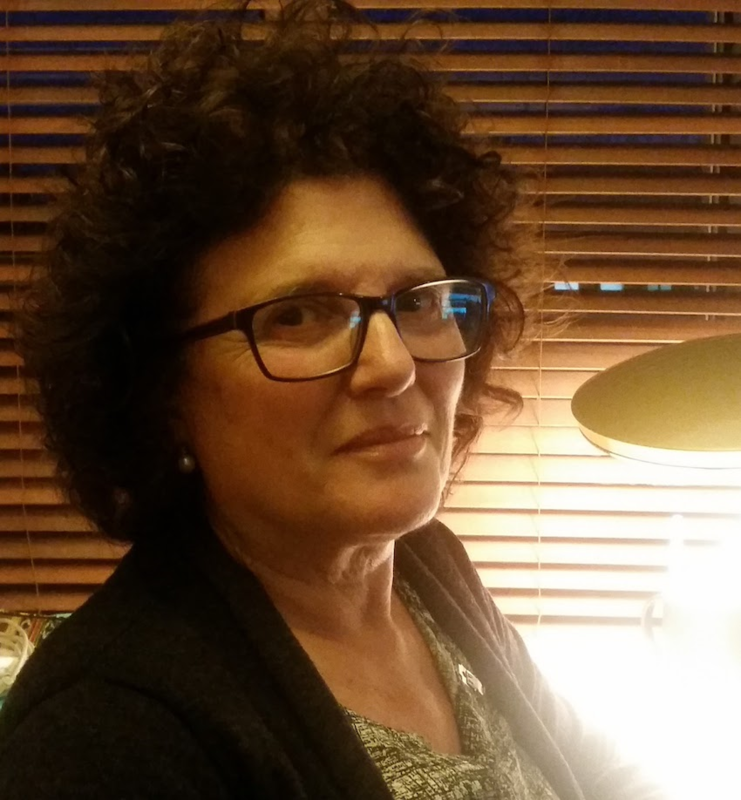 Post written by Angela Coulter, PhD, (@acpatient), Informed Medical Decisions Foundation. Integrated care: what is the main underlying idea? 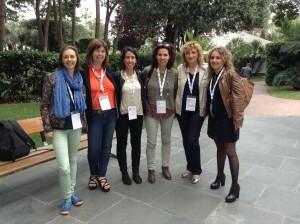 This past 23rd, 24th and 25th May, 2016, Barcelona hosted ICIC16 – The 16th International Conference on Integrated Care where 1,000 attendees from over 50 countries around the globe enjoyed an active and busy agenda. The experience involved 92 speakers and over 23 hours, which was also possible to follow via streaming. All in all, a challenge which the organizers were successful in delivering. 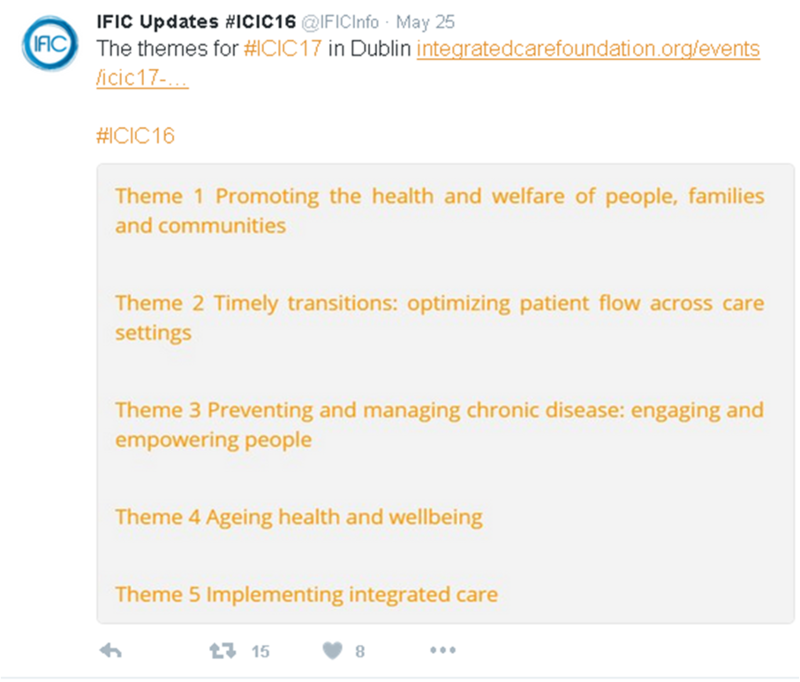 You can read or re-read the Twitter comments from here: #ICIC16. 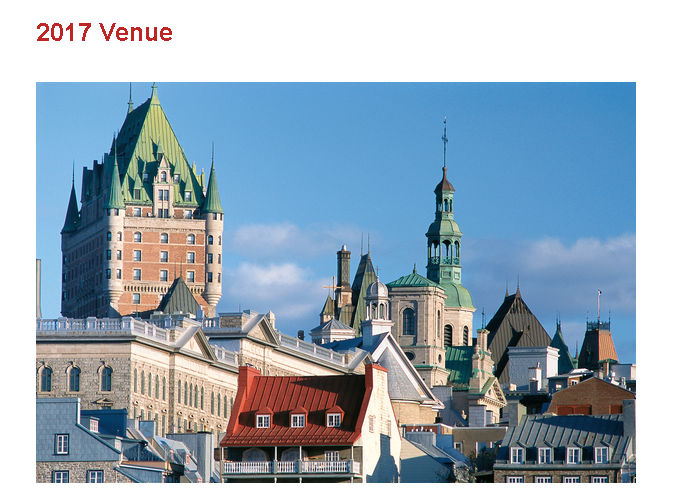 The International Conference on Integrated Care (ICIC) has become a must for professionals who provide care for people and managers working in the fields of health and social services, among others. Different languages to express the same message: integrated care represents the path we need to follow in order to meet the challenges of our aging populations. How can we do it? Integrated care proposes the integration of services as a response to the fragmentation of care practice, especially in the biomedical system. The coordination of professionals and institutions aims to improve the experience of patients’ who receive care, as well as their families and to improve their quality of life related to health. This becomes especially key when identifying patients with complex needs. The main topics covered during the ICIC conference referred to people-centred care within the perspective of those treated and in the coordination, integration and, collaboration of services, professionals and systems (health, social, education, justice, corporate, etc.). In this regard, there were a variety of experiences presented from around the world of collaborative approaches that promote a multidisciplinary and integrated style. The conference speakers emphasized the value of primary care and community health as being core to providing care to the community as well as the leadership of professionals from the areas of nursing, social work, the field of mental health and other disciplines and profiles. Following this main topic, several presentations focused on different organizational models of collaborative care which report findings that endorse the adoption of strategies from the bottom up, in other words, strategies that would enable the initiatives proposed by health professionals to reach planners and administrators who, in turn, can provide the support and recognition. It is important to highlight that there is an ever-increasing recognition of the importance of social determinants of health and looking to the community for the role it might play in shaping these determinants. One highlight of the conference was the talk Changing culture and measuring what matters given by Alonzo L. Plough in which the speaker summarized the report: Building a National Culture of Health: background, action, framework, measures and next steps. Don Reding from National Voices, gave an inspirational presentation with Putting what matters most to patients and communities at the heart of health and social care design. Another outstanding presentation was that given by Professor Deirdre Heenan from the University of Ulster: Integrated care in Northern Ireland: meeting the challenge of mental health. Let’s come back to Barcelona for a while. For some time now, the Agency for Health Quality and Assessment of Catalonia (AQuAS as per the Catalan synonym) has been working on an assessment of integrated care, by way of example with the Evaluation of collaborative social and health care models. It is also noteworthy the recent publication of the specialised report in the Social Work Magazine (Revista de Treball Social), titled: Integrated social and health care: points to reflect upon, which we believe to be a good cross-section of opinions and a good starting point. Another iniciative in AQuAS is the SUSTAIN project -funded by Horizon2020, an opportunity for professionals to work jointly with their peers in other countries in an effort to define a roadmap and establish synergies in the field of Integrated care in Europe, a project of great interest for Catalonia. Finally, it is vital not to lose sight of another key issue which is equality in the access to and outcomes from services, and this implies regular analysis of variations in care which have not been justified. A further helpful instrument for incorporating the opinions of those who receive care and the professionals involved is that of shared decisions. This involves a line of work which incorporates available evidence in a specific area or department of care, the preferences of patients when faced with the different health intervention options, and the essential information for improving the knowledge of all those involved (professionals, patients and their families and environment). Post written by Vicky Serra-Sutton, Gabi Barbaglia (@gabibarblagia), Laia Domingo, Marta Millaret (@MartaMillaret) and Mireia Espallargues.